Join us to celebrate on any or all Nights of the Divine Feminine through the Puja to Ma Dugra, Maha Lakshmni and Ma Saraswati. This year we have 10 nights in total, as we will begin by celebrating Maha Kali on the New Moon. 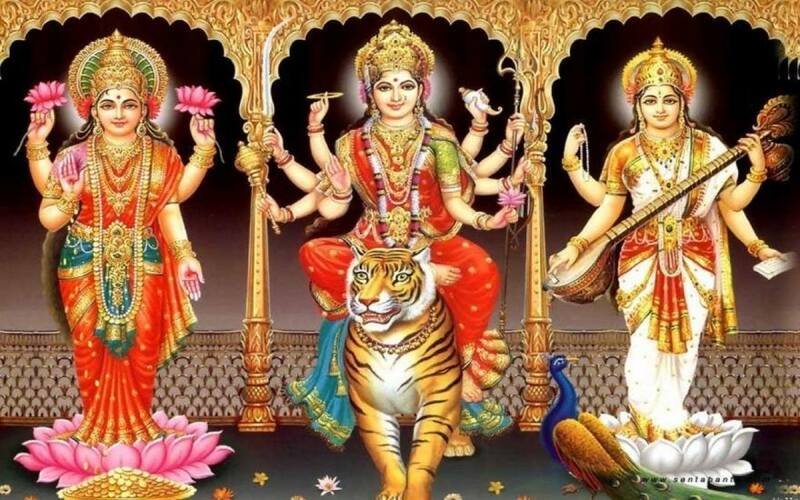 Each night we will honor one of these most auspicious goddesses as well as Yantra Puja to one of the Mahavidyas, the great Tantric Goddesses of Wisdom. All of these divine Shaktis encourage and fuel powerful growth and expansion on all levels. This time of the Yogic Year is a fantastic way to empower both your personal practices and your Dharma. Feel free to join us for some or all of the evenings.